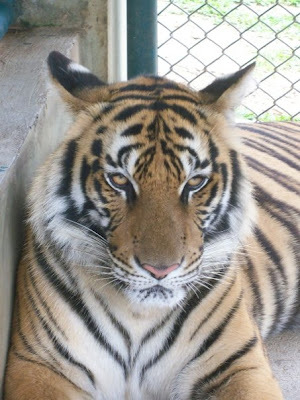 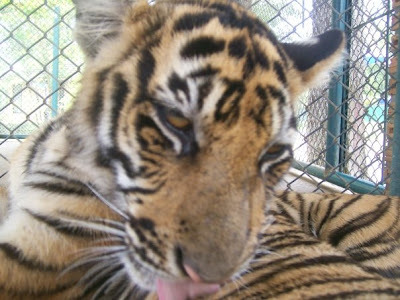 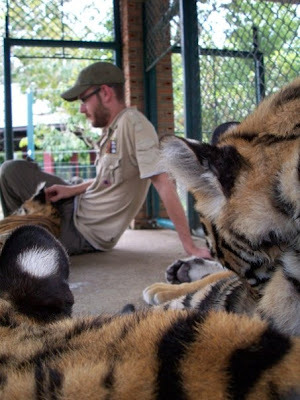 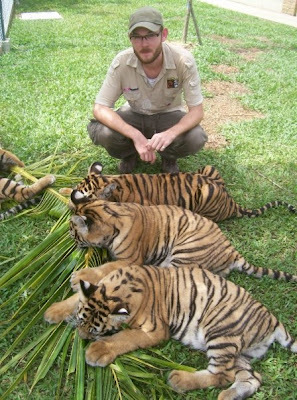 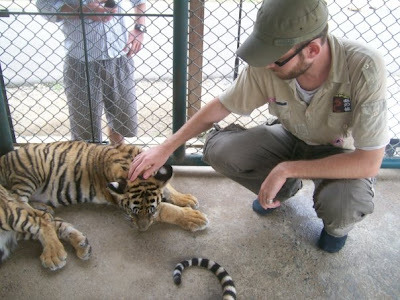 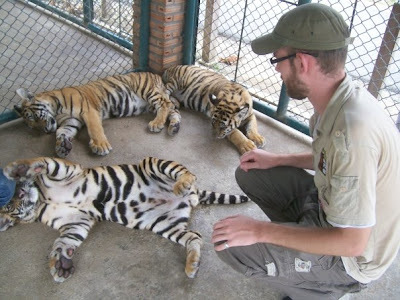 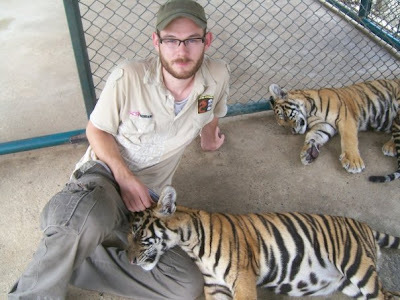 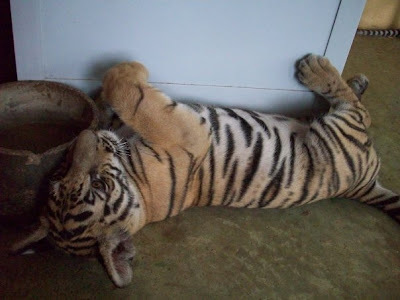 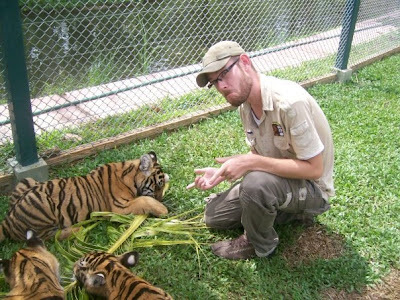 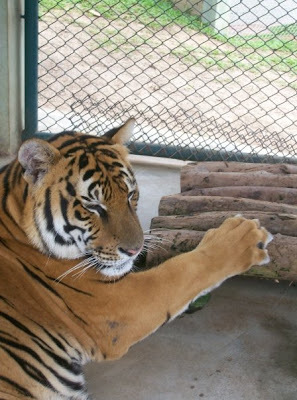 We met our driver for the day, Nikkorn, and headed south of Chiang Mai to A place called Tiger kingdom. 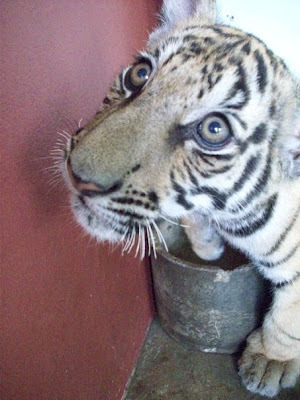 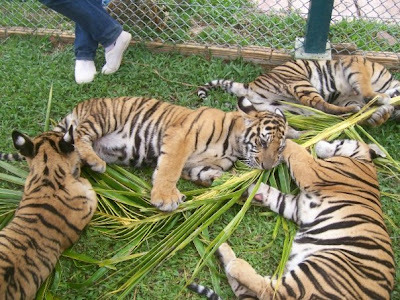 We were the only people there and we sat down for some breakfast whilst watching the staff quite happily popping in and out of enclosures and stroking fully grown tigers. 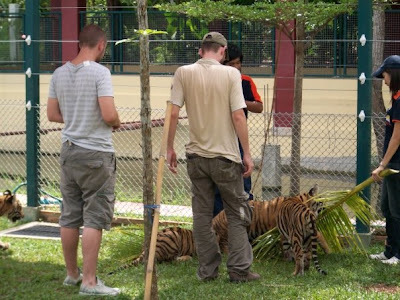 We finished up breakfast and decided that the only sensible thing to do next was to get into the tiger cages, guarded only by a fat man with an 8 inch length of bamboo and a few of his mates. 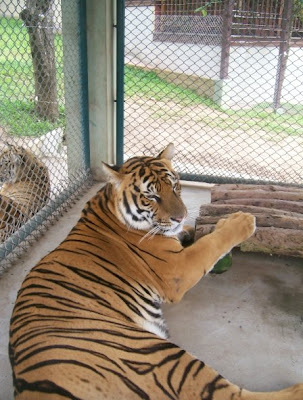 As the gate to the cage slammed closed behind us, the keeper mentioned in passing that it was best if we didn't let them bite us!